Leloir was born in Brussels, Belgium in 1912. He first played horn with his father and brother, both amateur horn players, in one of the many city wind bands. His first teacher, after his father, was Hubert Dubois. He studied at the Brussels conservatory with Théo Mahy, and he was awarded six premier prix by the age of 16. He was the last student in Belgium required to perform on both natural and valve horn. Leloir played in several Belgian orchestras (Anvers, Liège, Brussels) and Monte Carlo, then in 1935 migrated to Switzerland, where he play in Winterthur, Zürich, Bern, and finally in the Orchestre del la Suisse-Roman in Geneva, a position he held for 31 years (1939-1977). After Leloir won the first International Horn Competition at Geneva in 1939, conductor Ernest Ansermet hired him as principal horn and then orchestrated Schumann's Adagio and Allegro for him to play with the orchestra. In 1952 his horn quartet, Quator de Cors Leloir (with Gérald Dentz, Achille Bonnal, and Jacques Béhar), premiered the Hindemith Sonata for Four Horns. Leloir played a number of different horns over his career, starting with a single F piston valve Raoux-Millereau, then a rotary valve instrument (German), a Czech horn by Lehman, and an Alexander in B-Flat/A – always searching for a compromise between the French and German sounds. He collected horns of all types, some of which he gave to museums. Leloir played under Richard Strauss, starting when he was 14 or 15 years old, and after the war, Strauss lived in Switzerland not far from Geneva. Leloir played the premiere of his Serenade in Winterthur. He spoke with Strauss many times and asked him about his horn music. Strauss said that the breath marks in the first concerto were for musical phrasing purposes. Strauss told Leloir that in all his compositions he indicated the metronome markings, but that everyone played everything too fast. Leloir believes that Strauss himself arranged the first concerto for four horns and Till Eulenspiegel as a septet, but published them under another name. Leloir taught at conservatories in Berne, Fribourg, Monte Carlo, and Geneva, with students from all over Europe and the US. He served on juries for international competitions in Geneva, Munich, Prague, and Toulon. He recorded orchestral works of many composers (all the symphonies of Beethoven and Brahms, all the works of Stravinsky, Debussy, Ravel, and others), many solo horn works (Schumann's Adagio and Allegro, the Sikorski concerto), and the Hübler concerto for four horns. An early recording of the Bach Brandenburg Concerto was issued on 78 rpm but repeated later on 33 rpm. Leloir wrote a method, books of etudes, and compositions for horn, and he discovered, edited, and published hundreds of works that had been lost or had gone out of print, including concertos by Leopold Mozart, Rosetti, Michael Haydn, Telemann, the Haydn concerto for two horns, the Hübler concerto for four horns, and others. 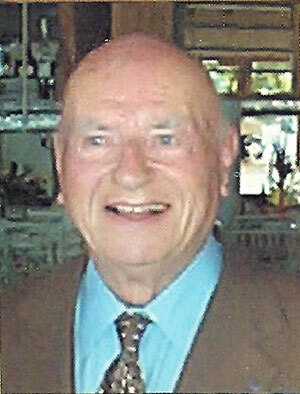 Leloir was elected an IHS Honorary Member in 1983. He retained his interest in the instrument to the end of his life, attending the International Horn Symposium in Lahti, Finland in 2002. An interview with Daniel Bourgue appears in the May 2002 issue of The Horn Call, an article detailing his accomplishments in the May 1995 issue, and a tribute in the February 2004 issue.